Our goal is to relieve our clients from the hassle of filling vacancies and ensuring the up keep of your investment. 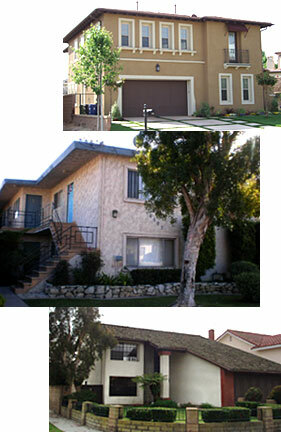 We have extended our services to apartment buildings, single-family residences, multi-dwelling units, and condos. We also offer a "rent only" service at an affordable price. Research rental market to maintain rents within current rates. Advertise vacant apartments in the newspapers, placing signs on the property and listing vacancies on rental websites. Inspect vacant properties to establish necessary repairs. Show vacant properties to prospective applicants, interview and screen; verify employment, credit check, and payment stability. Coordinate maintenance for cleaning, painting, plumbing, carpets, etc as required. All maintenance will be at a minimum cost consistent with quality. Effectively handle all tenant problems and disputes. Prepare, file, serve, and evict tenants and recover rents and fees due to the owner. Maintain records and process accounts payable in a timely manner. Provide owner with detailed monthly accounting of income and expenses. Schedule and supervise all major repairs after consulting with the owner. Provide competitive bids through licensed and insured contractors. Selection of contractor would be at the owner's discretion. Provide a phone number service after business hours for maintenance emergencies. If you would like to request a management proposal, please complete this form and submit. You will receive a response within 24-hours. © 2019 VITCO Properties. All Rights Reserved.